'He Who Dared and Died; The Life and Death of an S.A.S. Book by Gearóid O'Dowd and available at: The book is available at; Rare and Recent Books, Cong, Smyth's, Claremorris, Eason's, McLaughlin's, Westport and Castlebar Castle Books, Castlebar. If you can not avail of any of these then it can be purchased online at Amazon, Eason's and Rare and Recent Books. That question, and more, is answered in a recent book written by Galway author, Gearoid O’Dowd. ‘He Who Dared and Died; The Life and Death of an S.A.S. Original’ tells the story of his uncle, Sgt. Chris O’Dowd MM. O’Dowd sold his prize possession, a racing bike, to steal away from home and join the Irish Guards aged 18. One of twelve children; raised on a 30 acre farm, he was a familiar sight on the Ballinrobe roads as he sped along to work at McTigue’s Ironmongery and Hardware shop on Main Street, Ballinrobe (now Vaughan’s Shoe Store). But Christy was not made out for the hardware trade! A natural free spirit, he was restless to see what the world had to offer. Although there was no military tradition in the family, he was up to speed on world affairs and despite his family’s disapproval, he was determined to fight Hitler and if that entailed joining up with ‘the ould enemy’ well, so be it. He enlisted three months before hostilities began and was soon proving his worth with the Irish Guards in Norway. Not content with regular army life, he volunteered for Churchill’s new elite regiment, the Commandos. 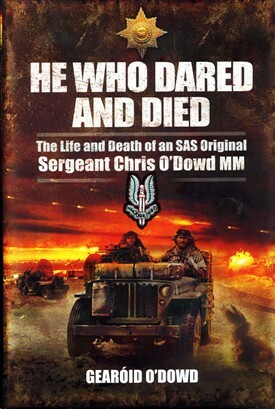 Following a spell of intensive training O’Dowd next saw action in the Middle East where he fought alongside such notables as Churchill’s son, Randolph, the novelist Evelyn Waugh and SAS founder David Stirling. When Stirling set up the SAS, one of first men he picked was Christy. 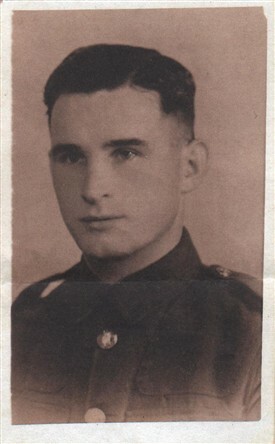 After his outstanding performance on the early SAS raids on enemy airfields, he was promoted to Lance-Sergeant in charge of his own sub-unit, and awarded the Military Medal. When David Stirling was captured, the regiment's future looked to be in peril. However, his second-in-command, Ulsterman Paddy Mayne, succeeded in convincing the Top Brass that they should carry on with himself as leader. Mayne had played rugby for Ireland and would become one of the most decorated Allied soldiers of the war. With Romell defeated, Mayne was soon leading his men as they spearheaded the invasion of Italy. 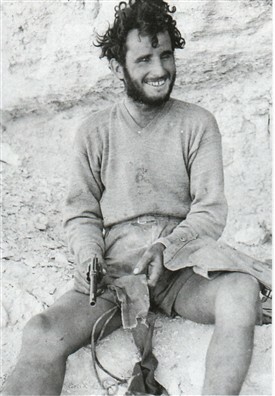 Further success was to follow until tragically in 1943, Chris was killed along with fourteen others when they suffered a direct mortar hit while on a raid. In total 3,617 men from the Irish Free State gave their lives to thwart Hitler. Those who served and died from Mayo are honoured at the MayoPeacePark in Castlebar. 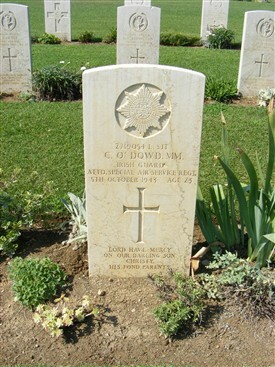 Among the names remembered in stone is that of Chris O'Dowd. 'He Who Dared and Died' is a fitting and long-overdue tribute to a brave young Mayo man who paid the ultimate price for his convictions. Chris’s first cousin, Mary Mohan lives in Friars’ Lodge, Ballinrobe and he has several nephews and nieces in the Shrule area. This page was added by Averil Staunton on 29/07/2012.